regardless of user size and weight liberty features-No tension springs to adjust. 1. 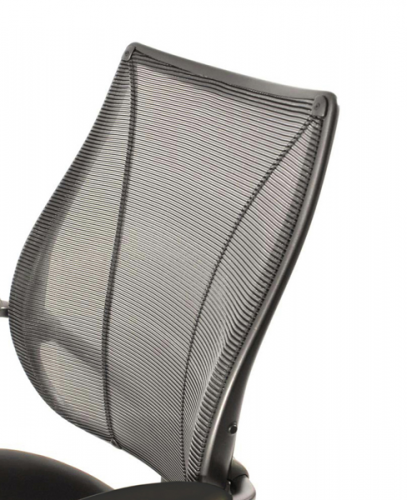 Why isn't the seat pan of the Liberty chair made of mesh like the backrest? 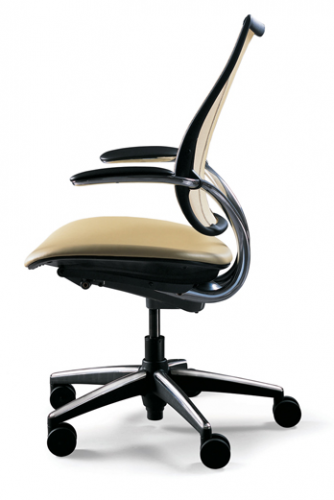 When the Liberty chair was created, a contoured foam or gel seat pan provided greater long-term sitting comfort than a mesh alternative. Although a mesh seat pan has since been developed for the Diffrient World chair that achieves excellent all-day sitting comfort, the Liberty chair's classic design remains unchanged. 2. 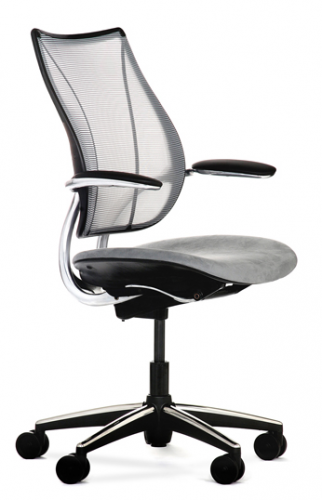 What kind of mesh and upholstery textiles are available for the Liberty chair? The textiles available for Liberty are as unique as the rest of the chair and satisfy requirements far more demanding than typical mesh and upholstery textiles. To view Liberty textile descriptions, specifications and colors, click on the "Textiles" link within the Liberty chair section of our website. 3. Are the mesh textiles offered for Liberty gentle on clothing? Each of our mesh textiles was specifically designed to be gentle on your clothes. Unique to our industry, Humanscale performs a reverse Wyzenbeek test on all of our mesh textiles to ensure that they will not damage clothing. We look at how our mesh abrades three different clothing textiles compared to a standard #10 cotton duck as the abradent. These results show that our mesh textiles are far gentler on your clothing than cotton duck. 4. What frame color options are available for Liberty? To view the frame color options, see the information illustrated in the Liberty seating section of our website. 5. Is Liberty offered with adjustable arms? Liberty is available with fixed arms, adjustable arms, and in an armless model. 6. I would like to test a Liberty chair before I purchase it. Where can I go to see the chair? Give us a call at 1-877-724-4922. 7. 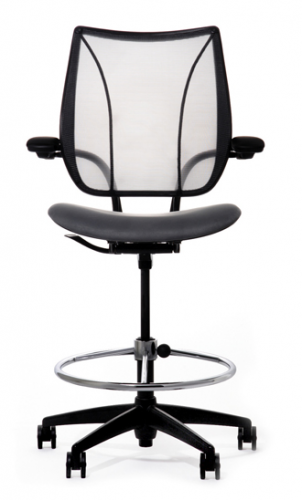 Can a mesh-backed chair provide adequate lumbar support? 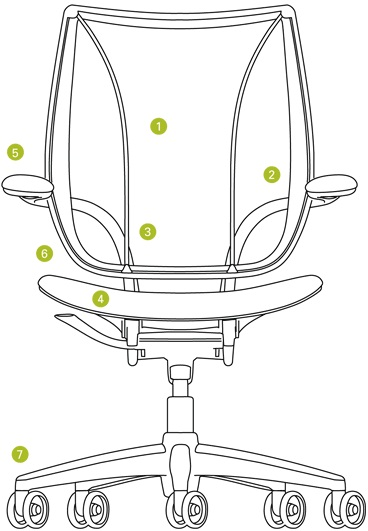 Using Form-Sensing Mesh Technology, Liberty offers perfect lumbar support for everyone automatically - without the need for manual adjustments or external lumbar devices. With Liberty, three panels of non-stretch mesh are sewn together to create a contoured shape optimized for the human back, creating ultimate body-hugging support. 8. Why is non-stretch mesh preferable to stretchy mesh? Wouldn't stretchy mesh be more comfortable? 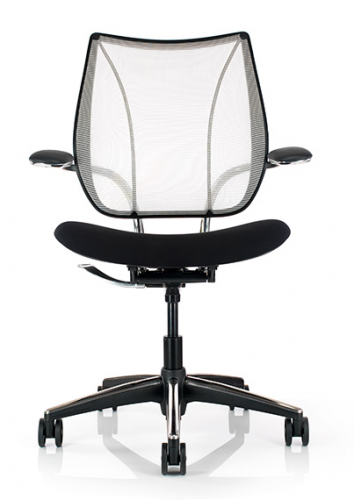 A single panel of stretchy mesh pulled tight around a frame cannot be contoured to the shape of the human back, and therefore cannot provide adequate lumbar support. This leads to discomfort in the long run. Non-stretch mesh displaces instead of stretches, providing support for users of all sizes. NOTE: Not all combinations available. 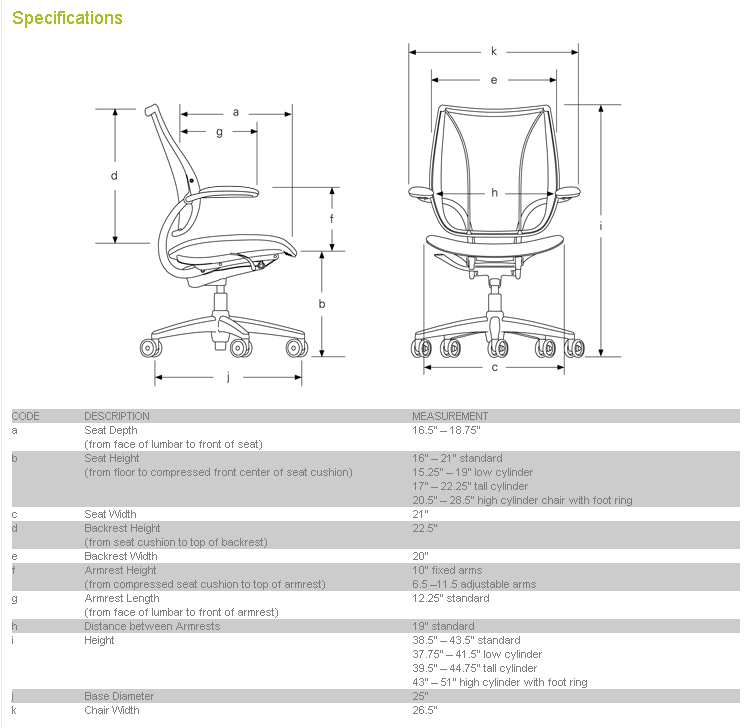 Check with Libertty Task Chair Configurator.